Tufted wheatgrass specimen. Wikimedia Commons image by the Canadian Museum of Nature, hosted by SEINet. Sullivan, Janet. 1993. 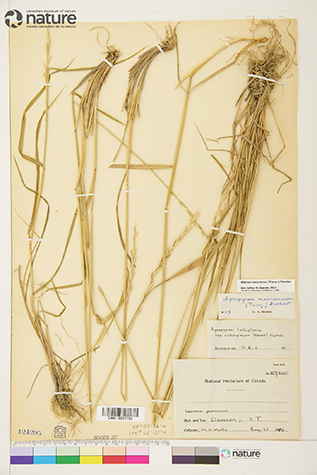 Elymus macrourus. In: Fire Effects Information System, [Online]. brachyantherum), named Elyhordeum jordalii Melderis, also occur . also occurs in eastern Siberia [6,10]. 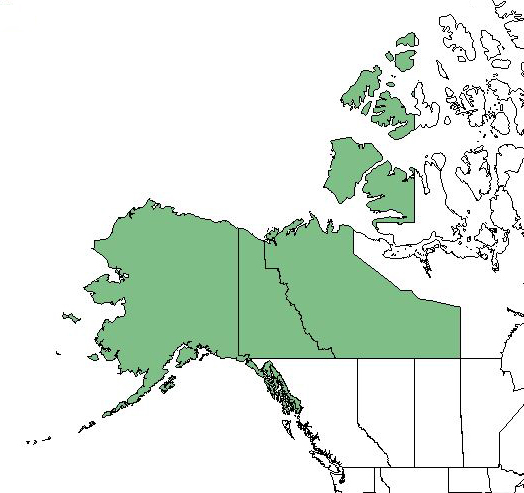 Distribution of tufted wheatgrass in North America. Map courtesy of USDA, NRCS. 2018. The PLANTS Database. National Plant Data Team, Greensboro, NC. [2018, October 2] . tilesii), and rough bentgrass (Agrostis scabra) . This wheatgrass is presumably grazed by both livestock and wildlife. Specific data are lacking in the literature. slowly growing native species . deterioration and serious weed infestation by the third year . percent [8,9]. It is self-fertile . Vegetative reproduction occurs through rhizomes . woodlands, roadsides, and gravel banks [8,10,13,15]. characteristic of disturbed sites [10,13]. fire disturbances. Specific data are lacking. 3. Densmore, Roseann V.; Dalle-Molle, Lois; Holmes, Katherine E. 1990.
sericeum, Hordeum jubatum and their hybrids. American Journal of Botany. introduced grasses at Palmer, Alaska. Agronomy Journal. 74: 899-905. 18. U.S. Department of the Interior, Natural Resources Conservation Service. 2018.